That familiar fall chill is in the air. With the unseasonably warm days we have had, this cold likely surprised a few people this week. It is a sure sign that winter is on its way and will be here before we know it. Winter presents a perfect time for couples to take advantage of seasonal savings when planning a wedding. During the months of January, February and March, many venues offer discounts up to 20% off their high season rates. The sea son stimulates many different décor ideas for planning the wonderland wedding of your dreams. Your menu can include warm savoury soups, winter vegetables or my favourite … hot chocolate with marshmallows. Glistening snowflakes, a crackling fire, or furry blankets provide inspiration for a unique winter theme. 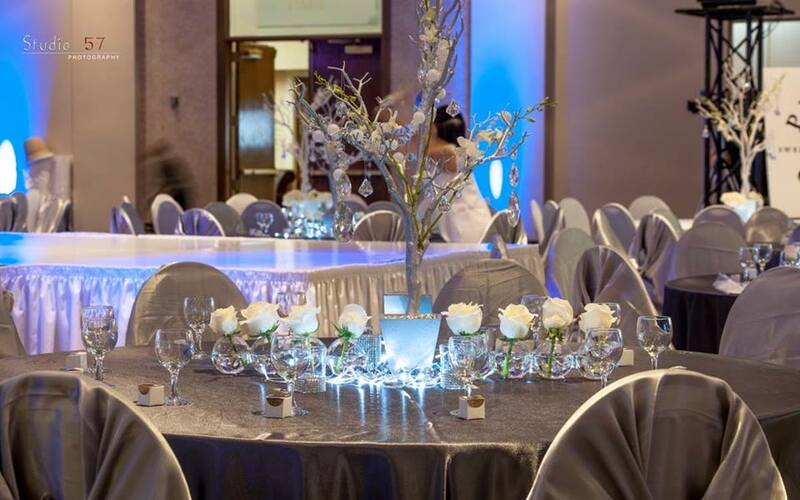 Here, at the Burlington Convention Centre, we are committed to making your dream a reality. From menu planning, to décor ideas, to set up, we are here to assist you in every way possible. Our Winter Wedding packages are designed with simplicity and elegance allowing you to personalize your experience with us. 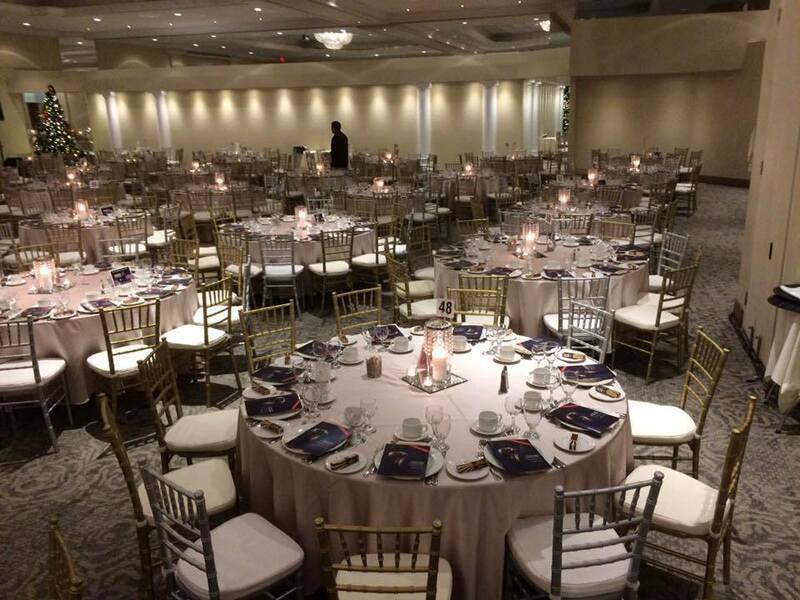 We’ve included everything from linens to late night service so that you can let us take care of the details while you enjoy your special day. Click here to see our Winter Wedding Package. Our recent wedding couples had this to say “We had our wedding here this past weekend. In the beginning stages of wedding planning, we had contacted numerous places. The Burlington Convention Centre stood out to me because they had the best communication. Julie replied to my emails quickly and seemed organized. We experienced amazing service and food for a reasonable price. It took a lot of pressure off me to have staff that knew what they were doing and have them care about the little details. Julie and Astor (who took care of the head table) were great to work with! All the staff were polite and personable. I highly recommend the BCC”. “Words don’t do justice to just how amazing Burlington Convention Centre and more specifically, Sonia was throughout my wedding prep down to the big day on September 3, 2017. Sonia was one of the most professional,organized and efficient person my husband and I dealt with for our wedding. She was very easy to communicate with, understood our concerns, was open to ideas and helped us make some key decisions and connections. 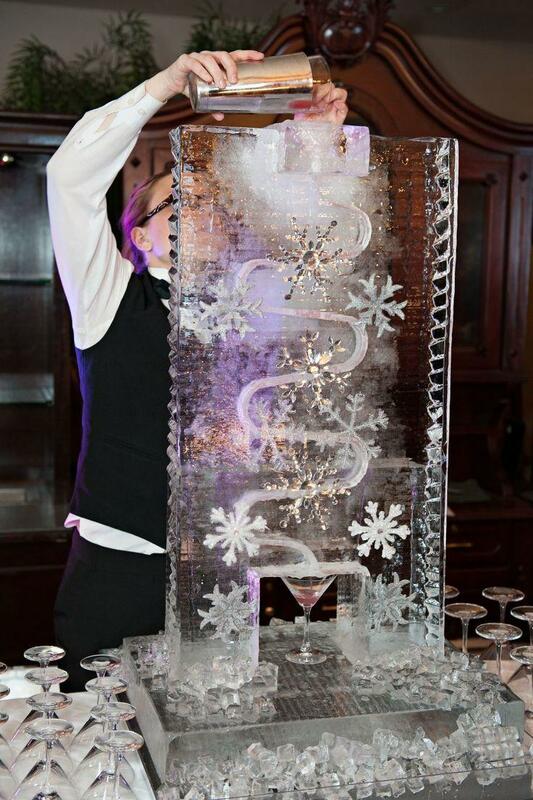 My guests loved the layout, the set up, the service (at the bar and the wait staff), the ambience, everything. Even my day/of wedding planner advised that BCC was the best vendor out of the 10+ vendors we had for our wedding. Needless to say, I would highly recommend them! Contact our event experts today and let us assist you in planning your perfect day! Send us an email at bcc@burlingtonconventioncentre.ca or call us at 905-319-0319.